If you use your arms for your favorite sport or activity, problems can crop up in your shoulder, elbows, and wrists, hampering your ability to perform well. 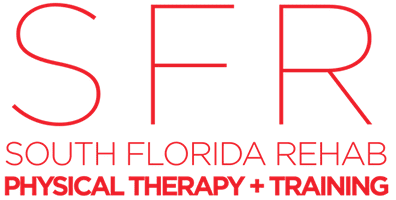 At South Florida Rehab and Training Center (SFR) in Miami, the trainers on staff excel in treating any problems or weaknesses you may have, as well as strengthening and improving your performance, whether you’re on the diamond or the tennis court. To see how these experts can help, call or use the online booking tool to schedule a consultation. What constitutes a throwing athlete? What problems arise in throwing athletes? Also, if you’ve had Tommy John surgery on your ulnar collateral ligament (UCL), the physical therapists are highly trained in helping you recover full use of your elbow. What therapies are offered for throwing athletes? Whatever the injury or concern, the physical therapists and trainers start you off with a functional movement screening to determine if you have any asymmetries or weaknesses that may be affecting your performance. This list is by no means comprehensive — South Florida Rehab and Training is ideally set up to cater to all the needs of a throwing athlete. What programs are offered to improve throwing techniques? South Florida Rehab and Training Center is pleased to offer the Tommy House throwing program, headed up by Gabriel Carvajal, who’s the first physical therapist in southern Florida to be certified by the Tom House National Pitching Association Program. This program focuses on strengthening baseball players’ shoulders and is ideal for amateurs and professional athletes alike. Between warm up, stretching exercises, and the throwing itself, the Tommy House throwing program helps you maximize your performance. To learn more about the many therapies and programs for throwing athletes, call South Florida Rehab and Training Center, or book an appointment online.